At the height of summer when busy schedules are at their peak, it’s difficult to find time to cross home improvement projects off of your to-do list. But as the seasons change, it’s important to be mindful of best practices around the house when it comes to safety and energy efficiency. Installing an Arc Fault Circuit Interrupter (AFCI) Outlet in your living space can help prevent these electrical fires in your home, especially in more vulnerable areas like bedrooms. 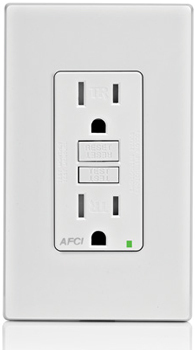 AFCI outlets help protect against a wide range of dangerous arc faults by interrupting power and reducing the likelihood of your home’s electrical system being the ignition source of a fire. 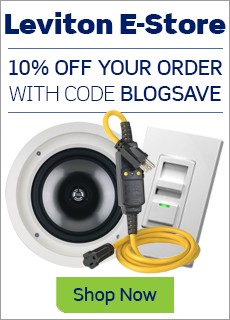 The Leviton SmartlockPro® AFCI Outlet is also tamper-resistant for added safety from electrocution or shock caused by foreign objects being inserted into the outlet. 2) Increasing energy efficiency can also be maximized in just the “flip of a switch.” By replacing your standard light switch with a dimmer in common areas where lower lighting levels might be desired — such as the dining room — you’re able to more closely manage energy usage and save money on your next electrical bill. Having dimmer switches over multiple lighting systems throughout your home provides you with the ability to control the amount of light where it’s needed, and where it’s not. 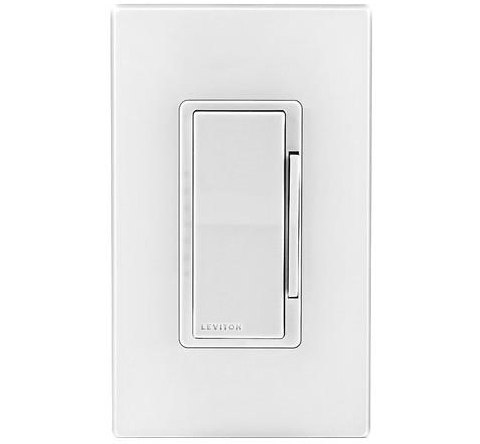 Choosing a universal dimmer allows for an easy transition and flicker-free operation with any bulb (LED or CFL). With home automation products becoming increasingly attainable, some dimmers, such as the Leviton Decora® Dimmer/Timer with Bluetooth® technology, even allows you to dim or time your lights from your phone or tablet for added convenience. 3) Increase energy efficiency in your home while also taking steps towards safety and fire prevention by ensuring that your air filters are clean. With clean filters and fans, generators don’t need to work as hard, therefore requiring less energy consumption. A dirty air filter clogged with dust and residue will not only increase your energy consumption, but can pose a fire hazard: Overworked fans and generators can easily overheat. And, filters heavy with dust can loosen from their security, causing them to fall onto the energy source of a heating, ventilation or cooling system which can start a fire. With these DIY home improvements that can be wrapped up in a weekend, you’ll save time and money when tackling your to-do list. It’s important to recognize that every season comes with its own best practices for ways to keep your home safe and energy efficient, and electrical improvements are always effective ways to check a few off of your list. For more tips on home improvements that promote energy efficiency and home safety while saving you time and money, visit Leviton.com/HomeSafety.